Brad is back from American Field and Myke picks his brain on what it was like for Nock Co. to be there. They also discuss new Nock Co. goods, and a trifecta of paper awesomeness with Midori, Field Notes, and Hobonichi. Dudek Modern Goods: Use code 'PENADDICT' for 10% off through the month of November. Fracture: Photos printed in vivid color directly on glass. 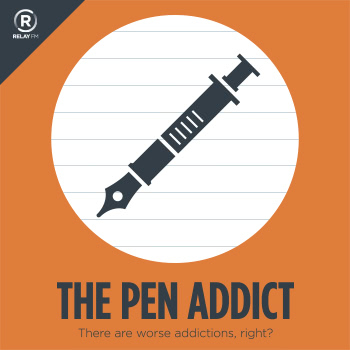 Use code 'PENADDICT' to get 15% off. Chimneytop XL - Pen(cil)/Accessory Storage — Nock Co.
DotDash 3 x 5 Note Cards — Nock Co.